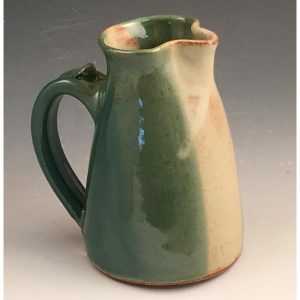 I made RIO Morado Mug on the potter’s wheel with stoneware clay. I pulled the handle directly from the pot and added a thumb stop. People say they like the feel of thumb rest when they are sipping coffee or tea. RIO Morado Mug sits flat. 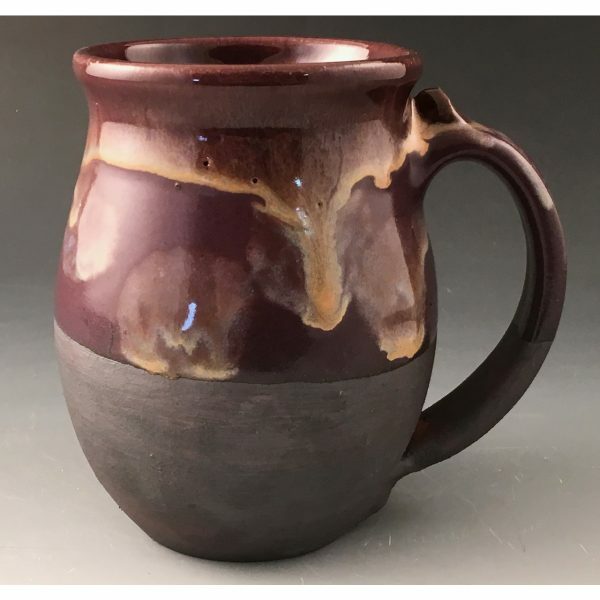 After I bisque-fired the mug, I rubbed a red iron oxide (RIO) into the surface and lined the interior with a purple glaze I make. 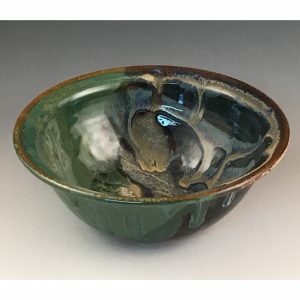 The top is also glazed. 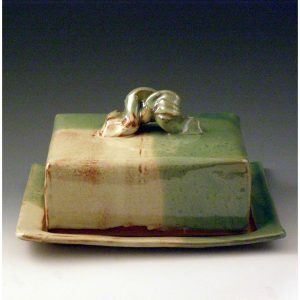 Then I fire to 2200 degrees F.
Stoneware clay helps to keep your coffee or tea warm longer. The barrel shape, which is tapered at the top, will also help with holding temperature. 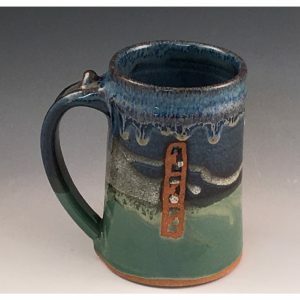 Use RIO Morado Mug for cold beverages too.